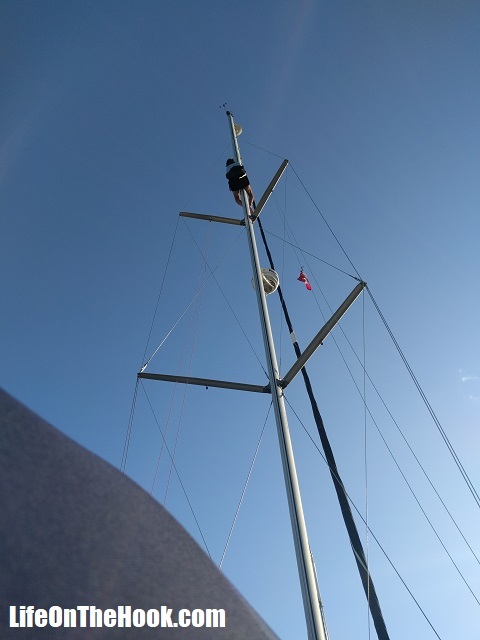 We have Selden in mast furling…you could have used the boom vang as a support for the boom by packing the ram with rope where it slides into itself. 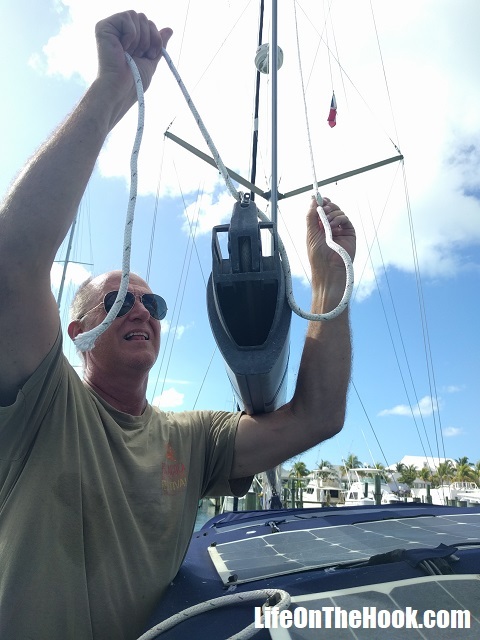 The rigid vang kept the boom from completely falling down, but it wouldn’t keep it high enough to prevent it from hitting our solar panels on our bimini when the sail was furled. 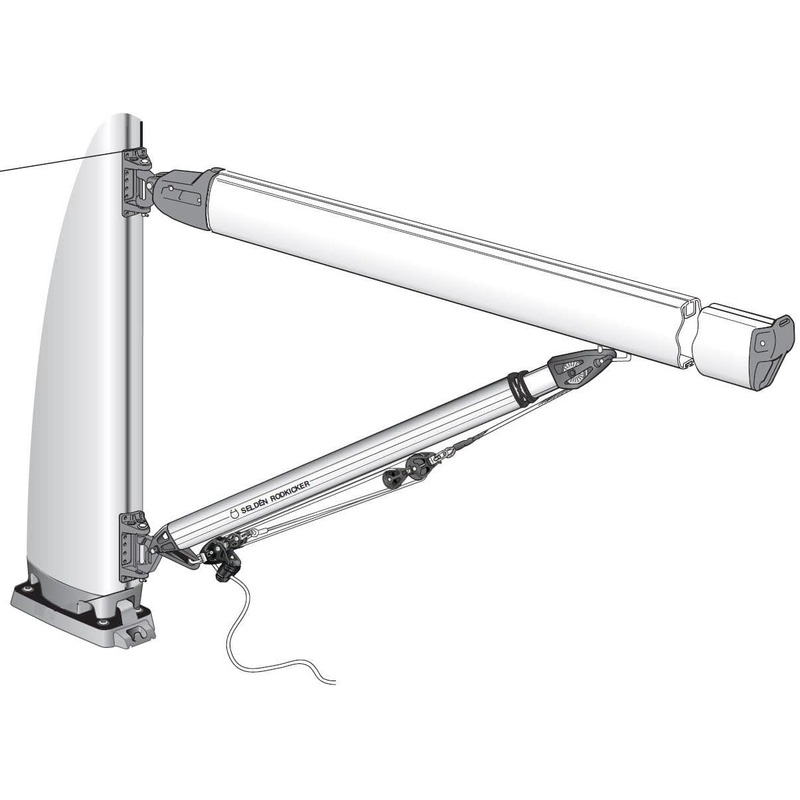 The solution was to just swing the boom off to the side. 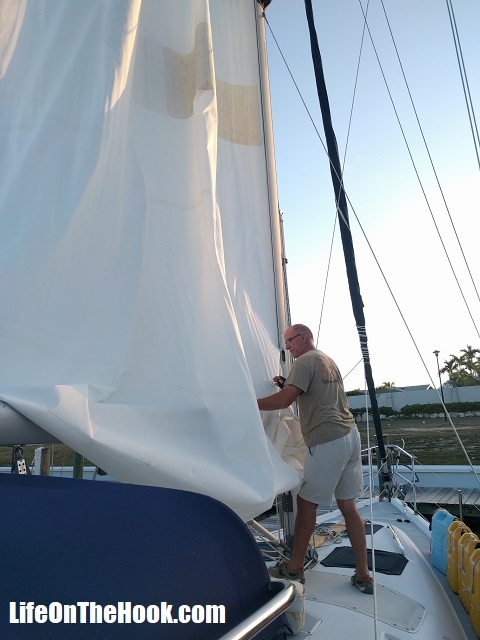 I figured when the sail was unfurled it would hold the boom up high enough for us to keep sailing, but I really wasn’t wanting a work-around, I wanted to get it fixed. Thanks for the tip though, I’ll keep it in mind if we have any further problems. Boy, I can relate to the effort of raising the halyard. Last boat we chartered advertised a hydraulic winch and I was psyched, but when we got on board, it wasn’t working. Best plan is to bring friends who want to play sailor and assign them to raising the main. 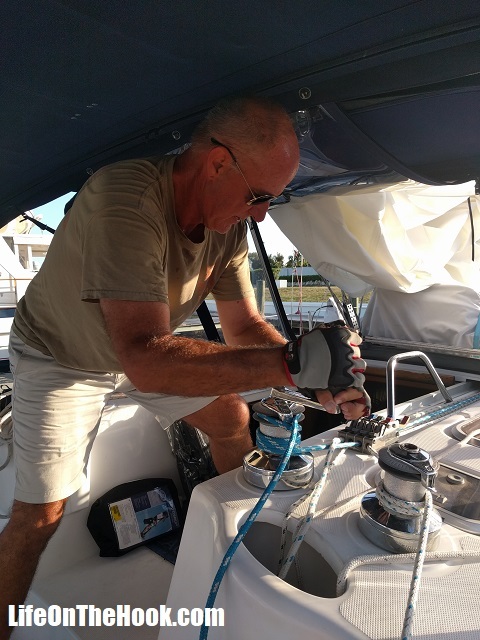 I am sure in-mast furling can be a pain at times; if it jammed it could be a major problem and the sail shape suffers a bit, but we chartered a boat last year that had it and it was awesome. 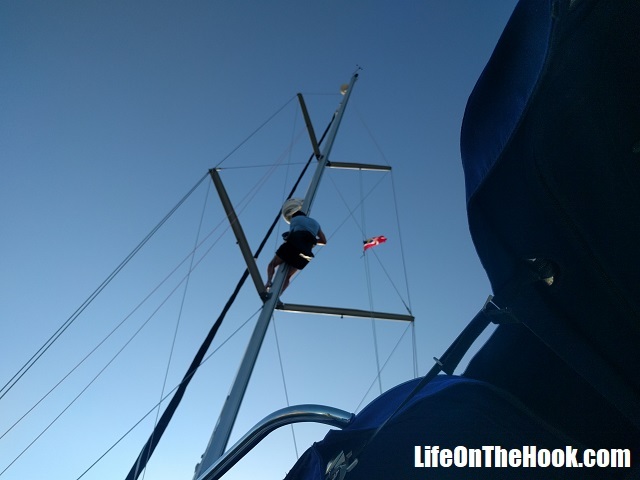 Normally with an in mast main, you only raise the sail once, and then just unroll it and roll it up as needed. 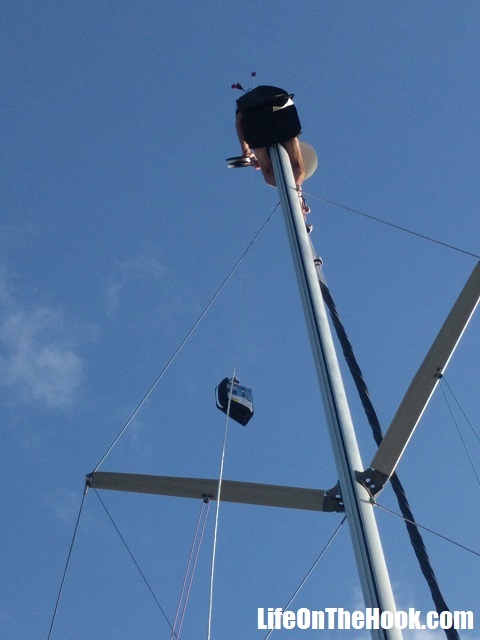 We had to drop the main so that we could free up the halyard to use to hoist our helper to the top of the mast. 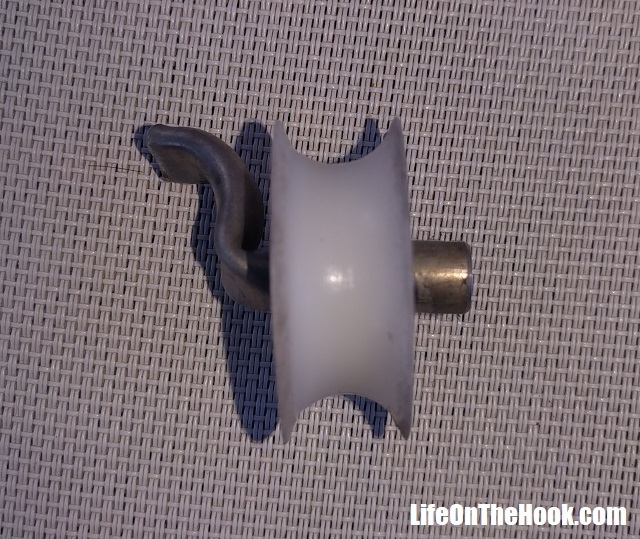 But you’re right about furling mains. 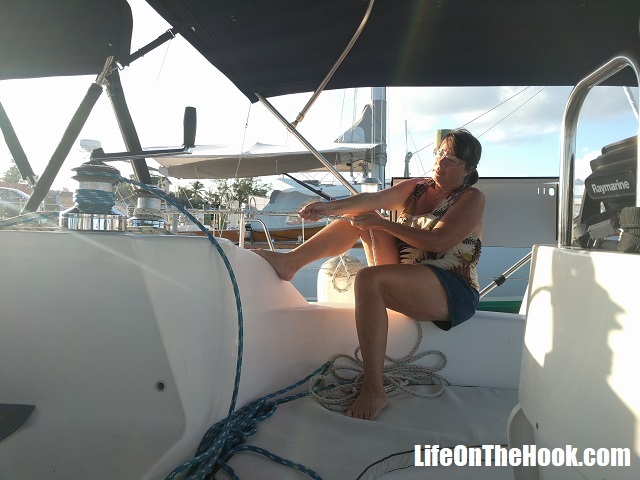 When they work, you can’t beat them, especially for pulling in a reef, which is super simple. But neglect them a bit, and they get very finicky and can jam.